Back after a half term break, and things have been progressing nicely at our cabin. 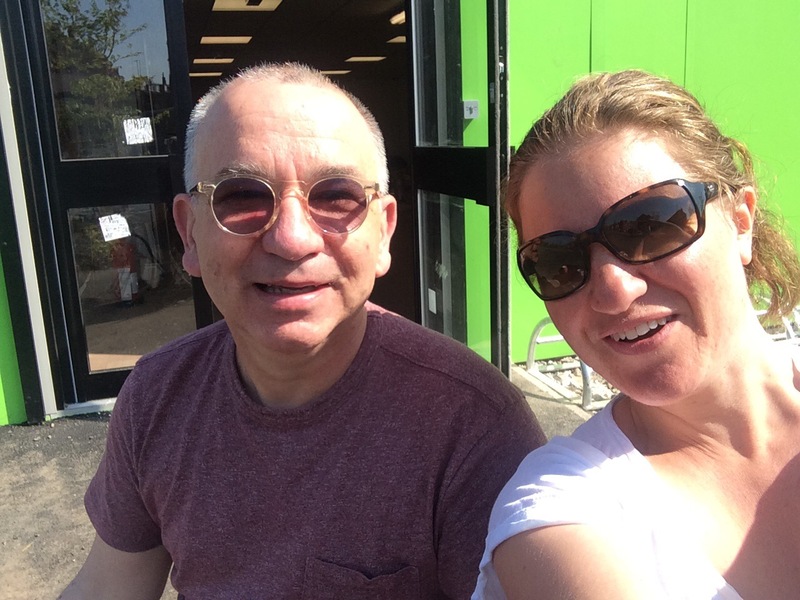 The day started early with catch ups and meetings, and even a coffee in the sunshine, whilst we regrouped and planned for the next stage of creativity. By 12noon, the TLC cabin was a hive of activity; more volunteers had arrived, the fencing guys were working away outside, and I had even done a round trip to Scarcroft and Moortown to pick up some furniture items that were being gifted to us following a Facebook plea. Back at HQ, chairs were being painted, the fridge had been cleaned and moved into position and we had even created a lovely cosy area at the back ready for open day. What struck me again and again today was the generosity of time, money, skills and things, from such a wide variety of people, in making the new TLC home. 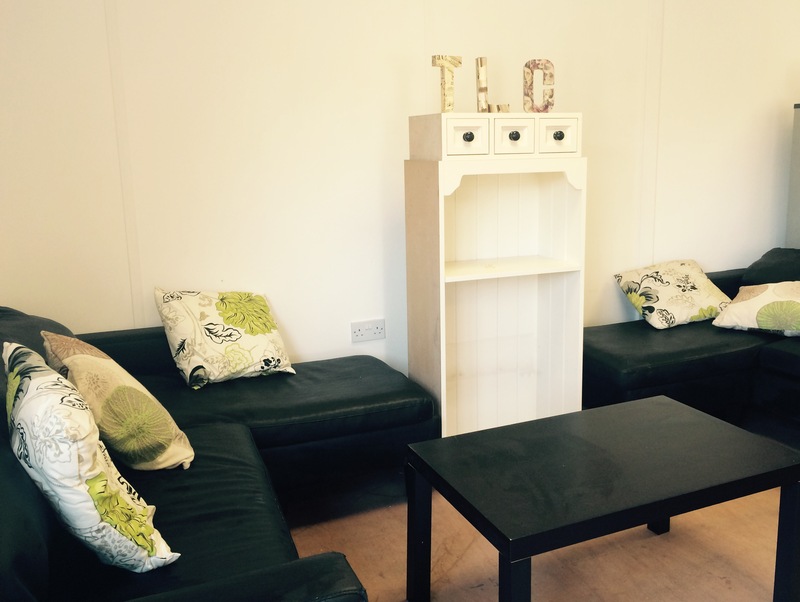 In fact, in creating the TLC culture that is pervading well beyond the opening hours of our pop up cafe. It is humbling and awe inspiring, and maybe actually shouldn’t be, that if you give someone -whoever they are – a chance to give, they will, and most often in buckets. The local Pakistani lady who had come in two weeks ago to say hello and had left with a bag of fabrics and pillows, returned today with her handiwork. It turned out her elderly mother had helped her make the covers, and not only had really enjoyed doing so, but was desperate, along with her friends, to come to our cafe once it was open. This was great news as we had previously lamented how we had not been reaching out to certain groups enough, and their demographic were certainly in mind. Whilst we were chatting, a young European lad popped in. 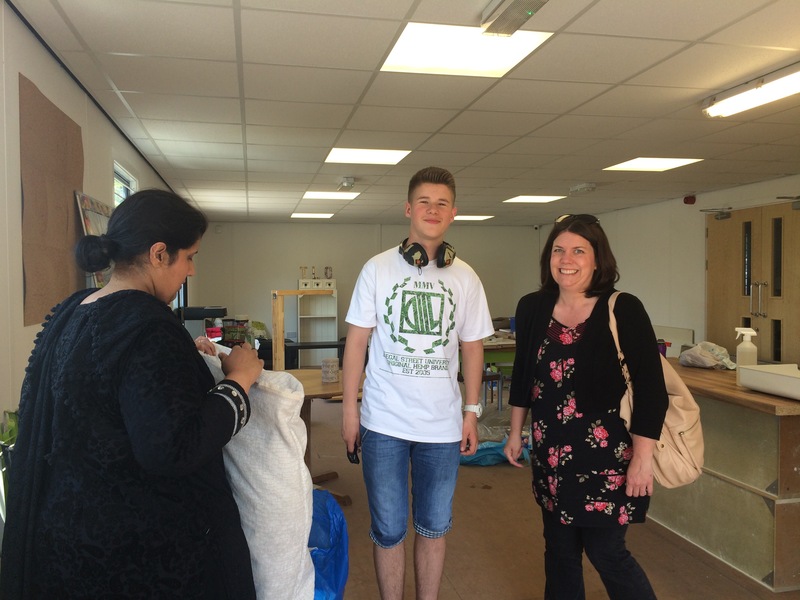 He is a volunteer with the charity, CATCH, that runs the youth centre and whole site on Hovingham Avenue. He was passing and called in to see Jill, one of our key people behind TLC, who is also very involved in CATCH and is also one phenomenal Leeds lady with lots of other hats on too. Tomorrow (Tuesday 7 June) is going to be entitled “How many creative projects can we make with eight wooden pallets” if you fancy being featured, come along to Hovingham Avenue between 10.30am & 1pm and we will put your creativity / woodwork and painting skills / muscles to good use!